Is Apple’s design Genius about to quit? With today’s news being dominated by the mixed success of The Social Network at the Oscars we’d be forgiven for thinking that there was much else going on in the world of digital technology. But wait, hidden amongst pictures of Justin Timberlake modelling a divine Tom Ford ensemble there’s rumour and speculation that Jony Ive the Brit responsible for the iconic iPhone design is on the verge of quitting. Reports say that Ive is desperate for his children to be raised and educated back home in our fair isle but that his bosses at Apple say that a move back to the UK would make his position in the company untenable. He’s also just cashed in his share options and with it boosted his personal wealth to over $120 million. 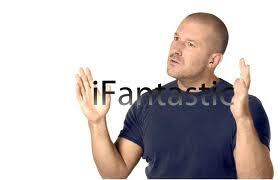 Company insiders say that Ive and the Apple board are at loggerheads with neither side willing to back down. All of this wouldn’t be too much of a problem if there was a clear succession plan in place as it becomes increasingly likely that Steve Jobs won’t return. With over 1/3 of shareholders voting for a proposal to force the board to disclose their plans, more turmoil at the top of the tree comes at a bad moment for the board and shareholders alike. What we do know for sure is that for Ive it’s never really been about the money and with Apple becoming the new frenemy is he feeling uncomfortable with an organisation that seems to be shifting away from it’s founding philosophies? What ever Ive’s decision his work and achievements at Apple will remain legend.